A Supreme Court bench comprising Chief Justice P. Sathasivam and Justices R.M. Lodha, H.L. Dattu and S.J. Mukhopadhaya has agreed to hear the curative petition filed by Khalistan Liberation Force terrorist Devender Pal Singh Bhullar’s wife NevneetKaur on Friday. The apex court has agreed to hear the petition of Bhullar in an open court, which he filed for commutation of death sentence awarded to him for the September 1993 blast to life imprisonment. The hearing in the open court dons significance in view of the January 21, 2014 judgment of five-judge Constitutional Bench which held that undue and mysterious delay by government in deciding mercy plea of death row convicts can be a ground for commuting their sentence. A petition was filed by Bhullar’s wife so as to reconsider the apex court verdict, which overruled her plea to commute his death sentence to life imprisonment on grounds of delay on the part of the government in deciding his mercy plea. 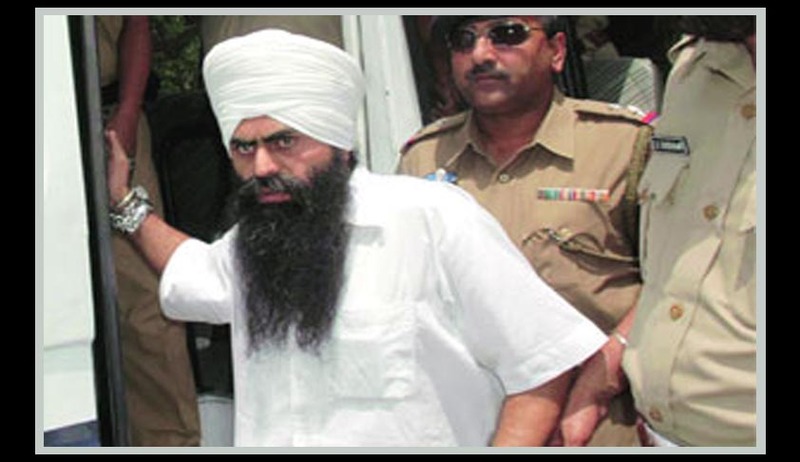 On March 26, 2002, the apex court had dismissed Bhullar’s appeal against the death sentence awarded by a trial court in August 2001 and approved by the Delhi high court in 2002. A review petition was also filed by him, which was dismissed on December 17, 2002. Following which, Bhullar then moved a curative petition, which too had been rejected, by the apex court on March 12, 2003. In the meantime, on January 14, 2003 a mercy petition was filed by Bhullar, before the President. But his plea was dismissed by the President on May 14, 2011, after a delay of over eight years. Bhullar again moved the apex court for commutation of the death sentence mentioning the delay, which was rejected. On the other hand, as per reports of Live Law, a three Judge Bench of the Supreme Court issued landmark guidelines relating to Death Penalty, while allowing all the 13 Writ Petitions filed by 15 Death Convicts in various cases. The Bench consisted of Chief Justice P.Sathasivam, Justice RanjanGagoi and Justice Shiv Kirti Singh commuted the death sentence imposed on Suresh, Ramji, Bilavendran, Simon, Gnanprakasam, Madiah, Praveen Kumar, Gurmeet Singh, Sonia, Sanjeev, Sundar Singh, Jafar Ali, MaganLalBerala, Shivu and Jadeswamy. The Supreme Court also overruled the Two Judge Bench Judgment in Bhullar Case, which held that a death sentence imposed on a prisoner was convicted for a terrorist act cannot be commuted on the ground of delay. On January 21, 2014, in a landmark judgment Supreme Court held that unreasonable delay by government in deciding mercy plea of death row convicts can be a ground for commuting their sentence and had granted life to 15 condemned prisoners including four aides of forest brigand Veerappan. The court held that the delaying execution of death sentence has a brutalizing effect on condemned prisoners who have to face the distress of waiting for years in the fear of death during the pendency of their mercy plea. Bhullar was convicted and awarded death penalty for initiating a bomb blast in New Delhi in September 1993, which killed nine and injured 25, including the then Youth Congress president M.S. Bitta.